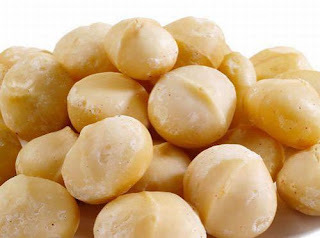 The macadamia tree produces nuts only after it’s 7-10 years old, requiring fertile soil and heavy rainfall. These nuts have a very hard seed, but once it’s open it reveals a creamy white kernel containing up to 80% oil and 4% sugar. The cost of a kilogram of these nuts exceeds 30$.